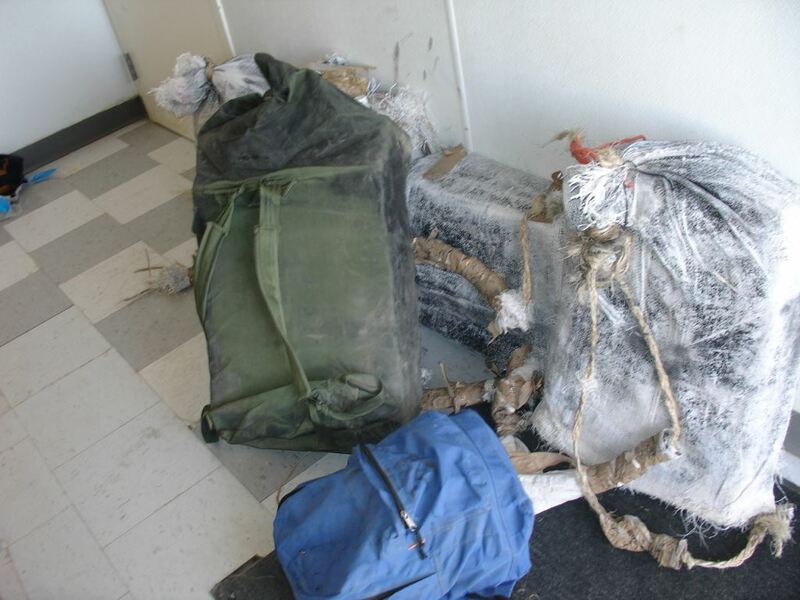 MARFA, Texas – U.S. Border Patrol agents have arrested six Mexicans with more than 300 pounds of marijuana. Four of the six were juveniles including two 17-year-olds, a 16-year-old and a 12-year-old boy. The arrests took place near a U.S. Border Patrol checkpoint south of Marfa, Texas, on the road that links Ojinaga, Chihuahua, with borderland Texas. The Border Patrol in the Big Bend Sector alleges the group was carrying the marijuana on their backs and trying to walk around a Border Patrol checkpoint staffed by drug sniffing dogs. Agents allege the 12-year-old boy had the heaviest load at 80 pounds. Authorities are looking at the posssibilty the boy and the other juveniles were forced to carry the contraband. The marijuana and the two adult males were turned over to the Homeland Security Investigations unit for prosecution. One of the 17-year-olds is being held in Jeff Davis County, Texas and the others were returned to Mexico.